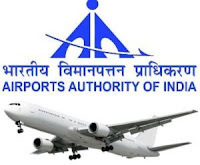 The Airports Authority of India or AAI under the Ministry of Civil Aviation is responsible for creating, upgrading, maintaining and managing civil aviation infrastructure in India. Candidates who have completed Engineer (Civil) / Electrical with relevant experiences and retired personnel from AAI/IAF/PSUs /Central / State Govt. Deptt or equivalent from a recognized Institute for AAI Recruitment 2018. Interested candidates may send their application through e-mail at harbirsingh@aai.aero and in hard copy in the specified format (Annexure- II) or before 20.07.2018 at the following address…..